Our range of products include power meter. · Buttons can be adjusted to change work time every day, function selection, reset the total quantity and total time, set the limit alarm. 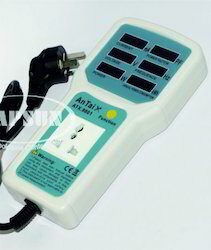 · The instrument can display voltage, current, power, power factor, power grid frequency, annual voltage. Looking for Power Meter ?